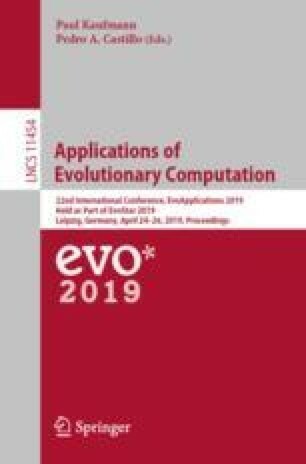 This paper presents the Evolutionary eXploration of Augmenting LSTM Topologies (EXALT) algorithm and its use in evolving recurrent neural networks (RNNs) for time series data prediction. It introduces a new open data set from a coal-fired power plant, consisting of 10 days of per minute sensor recordings from 12 different burners at the plant. This large scale real world data set involves complex dependencies between sensor parameters and makes for challenging data to predict. EXALT provides interesting new techniques for evolving neural networks, including epigenetic weight initialization, where child neural networks re-use parental weights as a starting point to backpropagation, as well as node-level mutation operations which can improve evolutionary progress. EXALT has been designed with parallel computation in mind to further improve performance. Preliminary results were gathered predicting the Main Flame Intensity data parameter, with EXALT strongly outperforming five traditional neural network architectures on the best, average and worst cases across 10 repeated training runs per test case; and was only slightly behind the best trained Elman recurrent neural networks while being significantly more reliable (i.e., much better average and worst case results). Further, EXALT achieved these results 2 to 10 times faster than the traditional methods, in part due to its scalability, showing strong potential to beat traditional architectures given additional runtime. This material is based upon work supported by the U.S. Department of Energy, Office of Science, Office of Advanced Combustion Systems under Award Number #FE0031547.